Our products are the literal building blocks of a strong, vibrant economic future. We are especially proud to be one of the few American-owned portland cement plants operating in the United States. 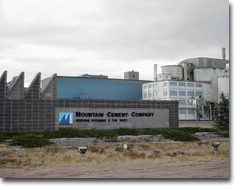 At Mountain Cement, our mission is simple: Be an industry leader in the production of portland cement by adhering to strict quality controls, process efficiencies, and exceptional environment technologies and safeguards. Mountain Cement's ability to positively contribute to the community in which our employees work and live is another measure of our goal to be good neighbors. 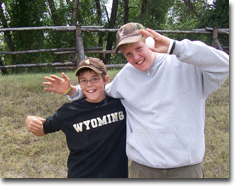 Wyoming is our home too, and being actively involved in the community is part of the responsibility we share as citizens of this special place. Celebrating 365 days with no lost time accidents between June 6, 2012 and June 6, 2013.